Oops! I forgot to post this one from October 23! Common Core – Collaboration – What it looks like! Shameless Plug – Free Half Day of Assembly Programs to be given away! #7. Set up a Lunchroom Library. I LOVE this idea. Get, make, or find a set of bookshelves that display the fronts of books (not just the spines) and put a hundred or so paperback books in the cafeteria for kids to look at before school, or after they finish lunch. You can provide bookmarks that students can put their names on so they can find their places the next day. Include quick reads, short chapter books and high interest titles on the shelves. And don’t get too attached. Some books may walk away, others may fall apart. It’s okay. That’s why you use inexpensive paperbacks and books you got at that yard sale, Goodwill, the Friends of the Library sale, and from donations. While many are focused on the changes in the STANDARDS, the real keys to the success of Common Core (and hence the success of our students) lies in the PRINCIPLES that guide the standards. This is an excellent short article about the importance of collaboration and what good collaboration looks like – between adults AND in the classroom. Be sure and stop by the Bound to Stay Bound Books table at the GaET Conference November 5-7 and register to win a half day of AMAZING assembly programs that will inspire your students to READ! This is a terrific conference, and I hope to see you there! “Tommy is a delight to work with, from start to finish. I appreciated the information he sent ahead of time -- everything from posters to tax forms included in one packet. I appreciated his flexibility -- he was able to change the time on one of our shows at the last minute, and he was also willing to work in another show the same day for a community group. Most of all, I appreciated the way he interacted with the kids before and after the program. He has a magic touch, in more ways than one. Since EVERY study done in the past 50 years shows that reading helps advance scores in EVERY other area of study, encourage the principal (and the school board) to sign on to the idea that a well-stocked and well-staffed media center should be a priority. Promoting reading can give your principal what she wants! Chances are that following the recent election and after having the first parent conferences of the year, your students’ parents may have a negative and inaccurate view of Common Core. Regardless of your personal feelings about it, it is what we have to work with right now. This is an EXCELLENT article you can distribute to your teachers to help them help parents understand some of the challenges of transitioning to this VERY different approach to education. "We just had Tommy Johns perform for the entire school and he was great. 'Awesome' was the comment of one of our 1st grade teachers! Tommy is very professional and entertaining. Another teacher commented that she really appreciated the fact that the assembly was so academically oriented." Common Core – Genius Hour! Shameless Plug – Making Genres FUN! 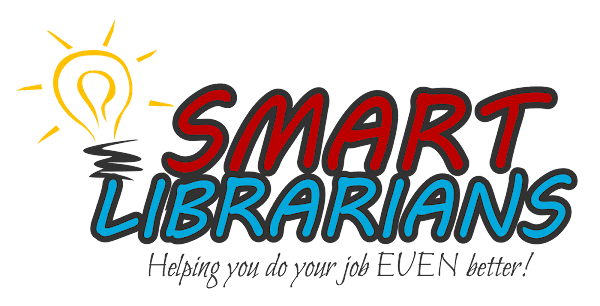 I had the chance last week to participate in the Alabama Library Expo, a fun 4 day touring vendor expo and training event. While I did not travel to the bottom left hand corner of the state, I was able to meet some great folks in Montgomery, Bessemer and Decatur AL from all over the state. Over 150 media specialists signed up for this newsletter and the chance to WIN! Bound to Stay Bound and I gave a door prize of a free half day of assembly programs to a winner at each stop. Congratulations to Erin Elkins at Owens Elementary in Limestone County, Jennifer Rich of Riverchase Elementary in Hoover and Kimberly Nunes-Bufford in Opelika. Stop by the BTSB booth at GaETC in November and register to win a half day for your school! #41 – Can’t seem to get the returned books reshelved fast enough? Turn the returns cart into a “Books that have been recently circulated” display by adding a sign that says “See What Your Friends Have Been Reading!” Instead of it being another thing that has to be done, you are providing a service to your students, allowing them to see the current books on display! Have you heard about Genius Hour? It’s a trend in education that is really gaining a lot of traction. Of course detractors are going to say that you can’t allow kids to choose their own topics. But think about how many things you wrote about in school that seemed SO irrelevant to ANYTHING you cared about! And GH is not about allowing kids to choose EVERYTHING they want to research. It’s about allowing them a structured time to learn HOW to research by showing them how they can find out what they WANT to know. The media specialist can be instrumental in implementing GH in the school. You have resources and training that make you a great fit for making GH a part of your school’s offerings for students. Research has shown that GH helps students of all reading levels and abilities. And GH is right in line with common core standards about genuine research. Find out more at www.geniushour.com, or explore Pinterest and Teachers Pay Teachers for a different perspective of this great tool for teaching and learning! One of the most popular NEW programs I offer is “Dig a Little Deeper!” a reading assembly program that explores the different genres offered in the library! Most kids will go to the same part of the library every time, unless someone shows them the treasures they can find on a different shelf! Common Core – collaborate and be a superhero! Here’s some good advice for the new year! 16. Develop a tradition of rewarding your summer readers! – We all know that kids who read over the summer start school better prepared than non-readers. One way to encourage summer reading is to develop a tradition of rewarding summer readers. Once your students understand that they will be recognized and rewarded for reading over the summer, more of them will get involved as students report back to their non-reading friends how much fun they had! As your reputation for awesomeness grows, more students will read and the entire school benefits! Reward the readers with some “Cool School Tools” that you and your friends have purchased over the year at Dollar Tree and office supply stores that have the penny promotions. Most office stores will allow teachers to purchase larger quantities of these low priced items than the ad states. Just ask! Ask your PE teacher to help you with a kickball game or fun outdoor activity just for summer readers. Allow summer readers to be the first to check out books, so they get the best selection! Call me and schedule a reading show that features magic and puppets and a strong message about reading! DON’T just give them a certificate and hope that it will make the non-readers green with envy. If you are not already attending collaboration meetings with your teachers, you are missing an opportunity to become even MORE valuable to your colleagues and the success of your school. So much of Common Core is literature based and chances are many of the teachers in your building are unaware of the vast, rich resources that exist in your/their media center. Ask your principal and academic coach about being in those meetings, and ASK the teachers what resources they need. Better yet, TELL your principal and academic coach about how important the media center can be to the other teachers in the building and INSIST that they give you a chance to help! You’ll see positive results in the first meeting and then word will spread! Pretty soon everyone will know what a rock star they have in the media center! There are a lot of open dates in September to reward your summer readers or to kick of your 2014-15 reading emphasis! Chance are, I have a show that fits your theme! And if I don’t, I have SO much material that promotes reading, I can probably customize a show just for you! Give me a call and let’s see what we can do to get your students excited about reading! 9. Design and print READ posters for top readers, classes, administration, and staff with favorite books. I have designed a series of READ type posters you can use for your top readers and others in the school. I usually print these 11X17 so they are big enough to see, but affordable. Most big office supply stores run specials so that an 11X17 color copy of one of these posters is less than $2.00. This is an excellent way to reward your top readers and will be kept MUCH longer than a certificate. You could even make them up and put them in the halls until the end of school and give them to the students after they have become Reading Rock Stars! For templates and instructions, go to http://www.tommyjohnspresents.com/posters.htm, and have fun! As we approach the end of the school year, it’s time to start laying the ground work for your contribution to your school’s success for 2014-2015. Go ahead and ask your principal for some time in pre-planning to address the faculty and let them know about the resources that your media center has to offer. Go ahead and begin talking to grade level leaders or department leaders about collaborating with them next year and start finding out what type of support they need from you. Be proactive about what the media center and the media specialist can do to help your school and your students succeed. You and I know that you manage an absolute treasure chest of resources and possibilities. It’s time to make sure your colleagues at your school know just how valuable you are. Don’t wait to be asked – get in there and OFFER to help! Being proactive is one way to make sure that you will be SEEN to be as valuable as you are! There are still a few dates open for end of the year reading programs. I would LOVE to come to your school and help you celebrate your students’ success! Give me a call and let’s see what we can work out! "Go Wild makes learning FUN - the students recall words from the presentation for weeks following. This is the BEST educational show I have ever seen thus far. The students were learning plus entertained. Well worth the cost!" "In the nonstop tsunami of global information, librarians provide us with floaties and teach us how to swim." As he taught, he realized that one of the big problems with his students was that they were not familiar with the vocabulary in certain standard texts. Finding the challenging vocabulary words and teaching those terms BEFORE the class read the text dramatically increased comprehension, test scores and ENJOYMENT of reading! He went on to develop a list of “1,000 Words You Need to Know to Enjoy Reading This Year.” The list was taken from the texts that the students would be reading during the year and, as expected, reading scores soared! So, how does this apply to media specialists? As you prepare for the end of the year, collaborate with your teachers and encourage them to develop an essential vocabulary list for next year’s readings. The entire grade level or department could make this relatively simple work, if they all took part. And we all know that when we improve reading comprehension EVERYTHING else gets better! If you can get a copy of the audio of The Excellent Eleven, I highly recommend it. It runs for a little over 2 hours and you can listen to it on your commute in just a few days. (www.audible.com has a download for $11.95, or you may be able to check it out from the public library. OR you could order it for the Professional Development section of the school media center and be the first to check it out!) I think it would be a very good book study for faculty interested in recharging their batteries. Call me and you can see what all the fuss is about! "When you absolutely positively have to know, ask a librarian." REAL research has shown that getting kids to read for at least 20 minutes every day can and will increase test scores in all subject areas. Give your principals what they want by instituting programs that get kids reading every day! Find ways to incentivize reading and you can help your students achieve more! Show the research to your administrators and share your vision for encouraging every child to read every night. I attended a media specialist training session in January and Karen Minton (not the WSB meteorologist, but the GALILEO expert) shared some of the hidden treasures you can find in Georgia’s statewide education database, GALILEO. GALILEO stands for GeorgiA LIbrary LEarning Online, an initiative of the Board of Regents of the University System of Georgia. GALILEO is an online library portal to authoritative, subscription-only information that isn’t available through free search engines or Web directories. Participating institutions may access over 100 databases indexing thousands of periodicals and scholarly journals. Over 10,000 journal titles are provided in full-text. Other resources include encyclopedias, business directories, and government publications. Get your professional journals online and save on paper subscriptions! Log in to Galileo and go to http://www.galileo.usg.edu/high-school/. On the red bar, click Magazines A-Z. Search for the journal you want and there it is! You can read full texts of articles, search by subjects or topics, go to back issues and more! You can even access electronic copies of periodicals like ZooBooks and get them on your tablet or e-reader. And remember to check out www.CurriculumDivas.org for lots of resources for your school! It’s not too early to be thinking about rewarding your readers for their great work this year or doing something to encourage summer reading. There are several shows at www.tommyjohnspresents.com/programs.htm that will help you celebrate the end of the year! Give me a call or email me and let’s book something for your students. As a matter of fact, if you call before April 10 (when the next EOT comes out) and mention EOT, I’ll take 10% off the price of any booking! This issue is a week late, because LAST week was Read Across America Week, and I was wonderfully busy, doing shows all over Alabama and Georgia! I started the week with a show at the elementary school I attended in 5th and 6th grade, where I met the girl who would become my wife. The school hasn’t changed a lot, except that you can’t buy chocolate milk for 5 cents from the machine in the hall any more and they have LOTS of computers now. Such a fun week! More Common Core help from Galileo! 24. Money is tight and getting harder to come by. Collect Box Tops for Education and Labels for Education and use funds for media center needs. Have a couple of label drives each year and reward classes that collect the most. My wife’s school collects over $1,000 each year in BTFE for reading incentives and programs and got equipment for the school using LFE. Get a volunteer to collect, sort, tally and turn in the labels. You do NOT have to do this yourself. What would YOU do with $1,000? There are hundreds of unlimited access DK informational full color e-books that are tablet formatted and ready for use by your students and teachers! Once in GALILEO, scroll to the bottom, and click on GALILEO Kids. At the top of the page, click on For Educators. Click on Elementary Educator Resources. Go to SIRS Discoverer, Educator Resources. Login and look for Database Feature, Nonfiction Books. This should give you access to full color DK resources for research and leisure reading for students and teachers! Enjoy! BONUS! – On the Educator Resources for Elementary page there are some VERY handy Common Core Curriculum Standard tools. Check them out! Next time – Get your professional journals online and save on paper subscriptions! And don’t forget to check out www.CurriculumDivas.org for lots of resources for your school! Got a STEM event coming up? I have two science shows that promote reading as well as teaching about the science that is all around us! I’ll let a recent happy client tell you more in this unsolicited letter she sent to her colleagues in Paulding County. I did “Go Wild!” for her students. “Just wanted to share some info with you... Some of you have probably had him perform at your school already, but we had Tommy Johns at our STEM (aka Science) Fest on Friday and he was GREAT! He had two sessions and was enjoyed by ALL grade levels--which can sometimes be a feat to appeal to all ages. I felt that his fee was reasonable, too; we were helped by the fact that another school in our area booked him so we were able to split the cost of a full day. His wife is a media specialist, and all of his programs tie reading and the library into whatever the theme is. (Ours was about the Scientific Method.) I'm hoping to have him next year for our Festival of the Arts (aka Language Arts Fest) for his writing program. If you want more info his website is www.tommyjohnspresents.com. PS – Don’t forget to call about your end of the year reading reward show!